In its own version of “kicking the can down the road,” El Dorado County’s Board of Supervisors put off another rails ‘n trails-related decision regarding the Sacramento Placerville Transportation Corridor. At their last meeting of 2012, supervisors pulled two items off the agenda for future consideration. The first would have been a resolution recommended by District 1′s John Knight to recognize “the efforts of the Friends of El Dorado Trail” in assisting the county with trail maintenance along the SPTC. The second, also recommended by Knight would have “recognized the existing natural trail within the SPTC as a county trail and a segment of the El Dorado Trail.” The board voted to continue the items sometime in the indefinite future. Back in early spring 2011, the board voted 4-1 to extend train use from Missouri Flat Road in Diamond Springs to Shingle Springs, adding about eight miles for an old-time, excursion rail experience. Prior to the action, rail use was limited to the roughly two miles between Missouri Flat and the town of El Dorado. Called the “Shingle Compromise,” the resolution sought middle ground between the wishes of train enthusiasts and those wanting to keep rail use to a minimum. A number of proposals have originated with Sacramento and Folsom area excursion train operators seeking a license to run from the county line to Shingle Springs. However, over the past several years, county supervisors have consistently voted to maintain the westernmost 17 miles of the corridor as primarily a hiking, biking and equestrian trail. And most recently, the board denied an extension of the licensing agreement with the Placerville & Sacramento Valley Railroad, one of the excursion train organizations. 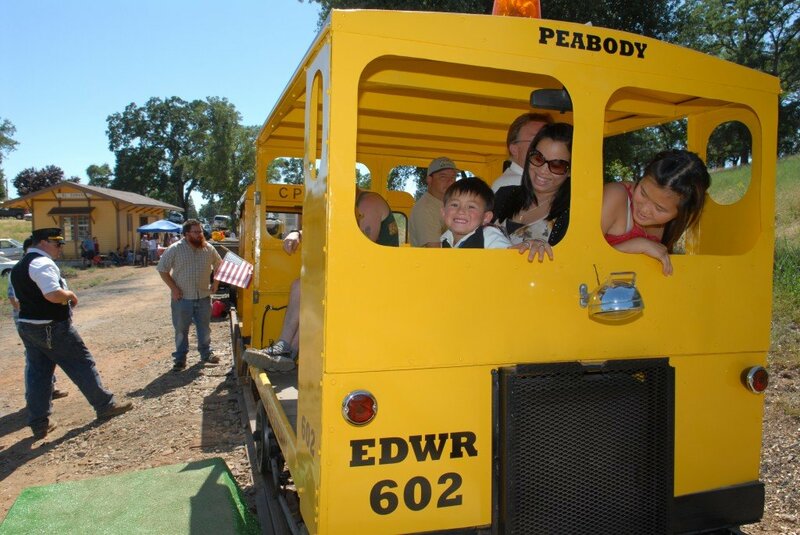 The El Dorado Western Railway Foundation, a sub-branch of the El Dorado County Museum meanwhile is moving forward on plans to get an excursion train up and running between Diamond Springs and Shingle Springs in accordance with the Shingle Compromise. Volunteers have worked for years restoring original rolling stock, developing the Historical Railroad Park in El Dorado and operating infrequent but regularly scheduled tours for the public. In other rails/trails-related action, supervisors approved a recommendation by Chairman Knight to explore the possibility of removing the existing rail infrastructure and using proceeds from their salvage to fund future trail-building projects. The SPTC Joint Powers Authority that “owns” the transportation corridor indicated that El Dorado County had no right or authority to take any such action. Later in the year, supervisors also approved a letter written by Knight to the JPA requesting that the entity consider dissolving itself — or take some other steps that would give the county more control over the corridor. District 3 Supervisor Jack Sweeney championed greater development of rail use along the corridor over the years, but Knight, District 2′s Ray Nutting and Ron Briggs of District 4 became an almost immovable voting bloc in opposition to expanding train travel beyond the limits of the Shingle Compromise. Contact Chris Daley at 530-344-5063 or cdaley@mtdemocrat.net. Follow @CDaleyMtDemo.